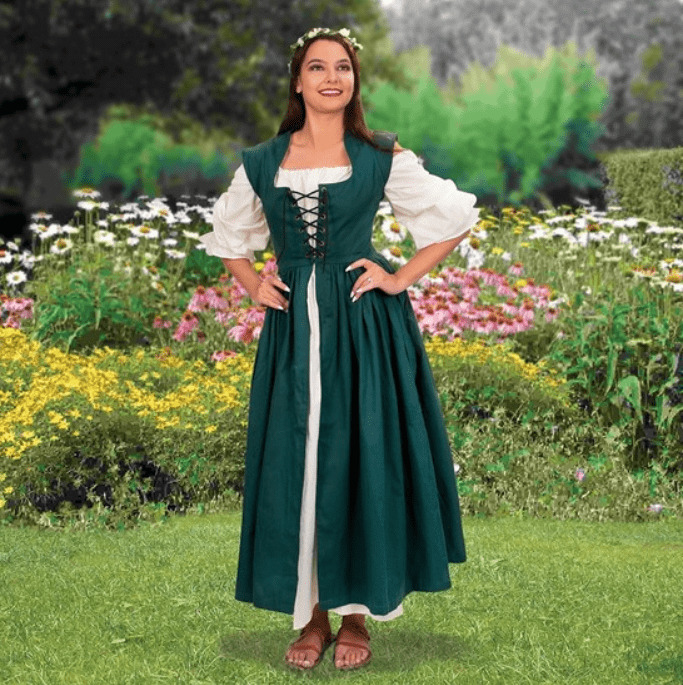 Perfect for the country lass; the bodice is integral to this skirt. 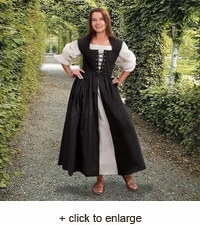 The bodice and attached skirt are made of durable 100% cotton. 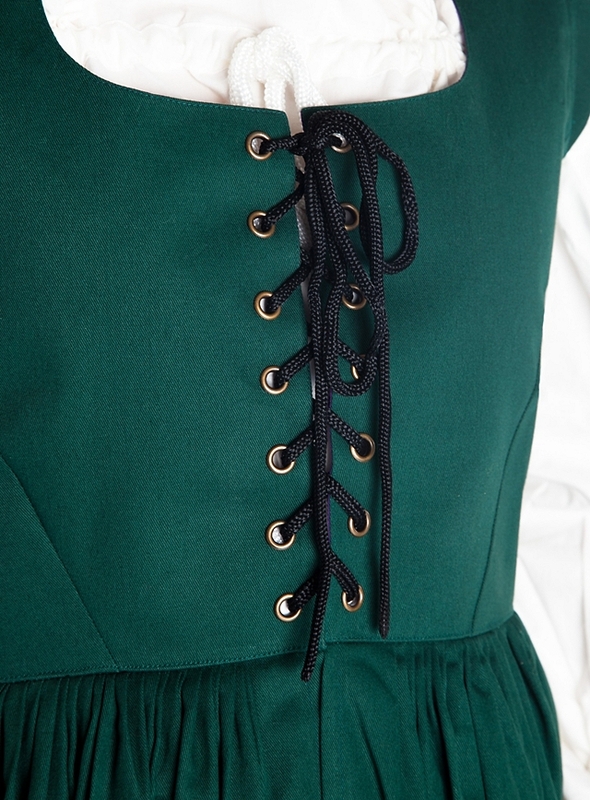 The bodice is laced to fit with brass grommets and the full skirt is split down the front to show a modest peek of the Muslin Underdress. 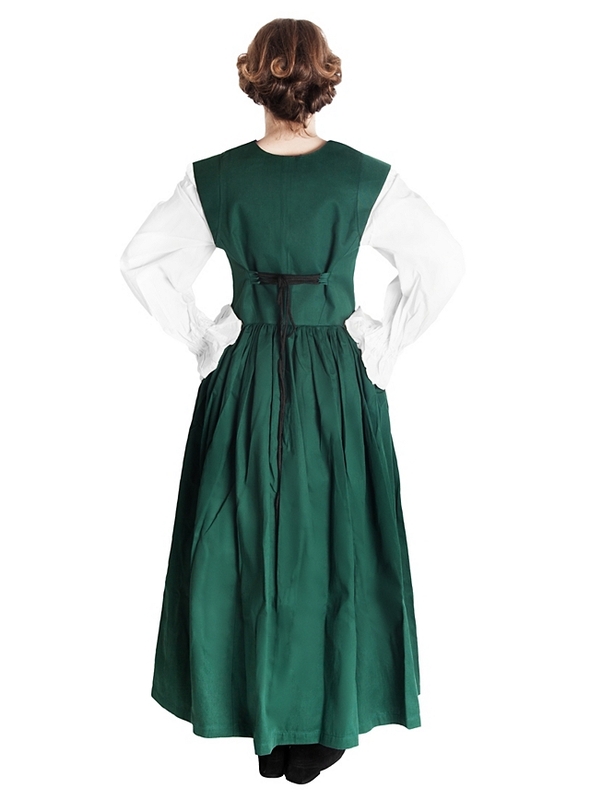 The 100% Muslin dress has elastic wrist gathers and a drawstring neck which can be worn on or off the shoulder, whichever the occasion demands. 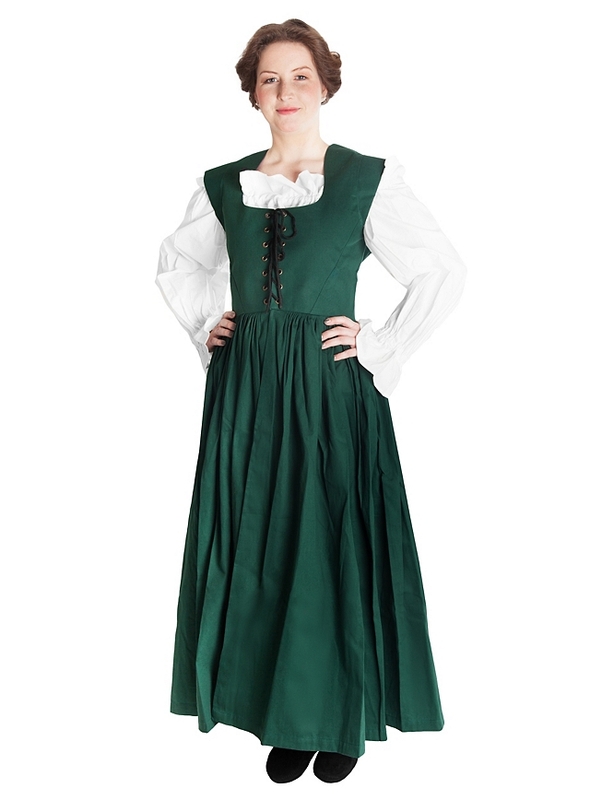 Included in the Country Maid Set - Country Maid Bodice with attached skirt and the Muslin Underdress.